Just north of Fort Bragg, Mackerricher State Park is one of the last opportunities for a long coastal run in Mendocino before northern California blends into Oregon. 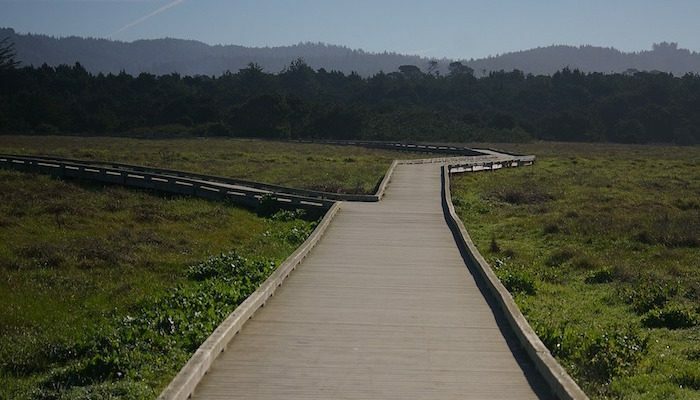 The highlight of the park is the five mile Haul Road Trail, a former coastal route stretching from Fort Bragg to Inglenook. A lot of the path is wide groomed gravel, but there are also some fun boardwalk sections running through miles of breathtaking views. The section which runs the closest to the coast is the roughly two miles between Mill Creek and Ward Ave. There is parking in both these areas, so it’s a great choice for a shorter out and back from either end.